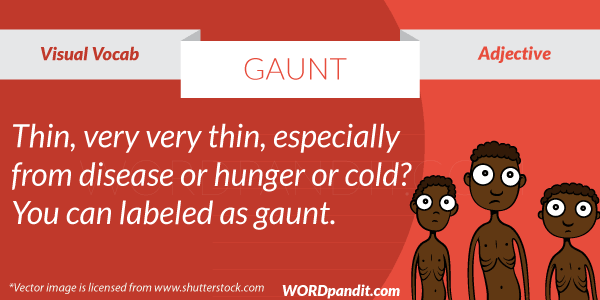 GAUNT can be assumed as a ‘Great grand AUNT’ who is generally very weak and thin due to old age. 1. The girl had a very gaunt face to handle such hard tasks. In image, do you really mean “very very thinG” or is it a typo ?